When I was first invited to the NBA and PLDT event, I thought to myself, "what would I do there?" However, I remembered that M is a huge fan of the NBA and so I thought, there must be something there that M would like so after securing permission to bring him, off we went. Turns out, there was an extremely good reason for us to be there. The National Basketball Association (NBA), PLDT Inc. and Smart Communications Inc. (Smart), leading telecommunications and digital services providers, today announced a new multiyear partnership that will make available select offerings of NBA League Pass, the league’s premium live game subscription service, to more than 62 million subscribers in the Philippines. 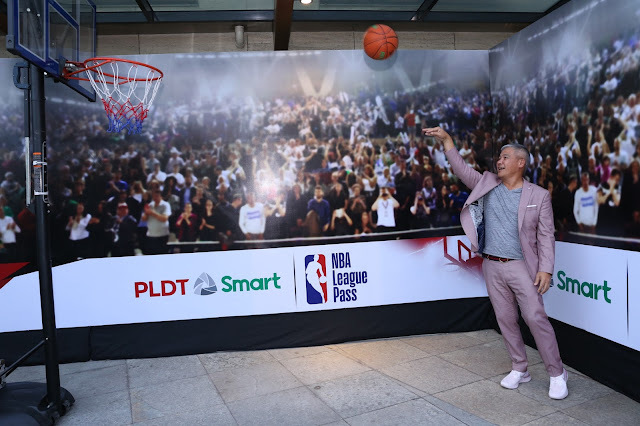 PLDT and Smart are now making available select offerings of NBA League Pass to their subscribers, providing fans with access to live and on-demand NBA games online and via mobile devices. The NBA League Pass offerings include Day Pass (Php50), which enables users to watch live games for a 24-hour period. The new offerings can be accessed online and through iOS and Android phones and tablets. 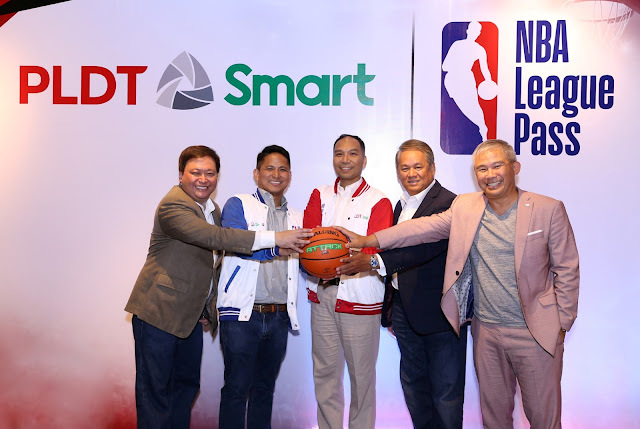 PLDT Home will provide users the option to add the selected NBA League Pass offering into their monthly broadband subscription, while Smart Prepaid and Postpaid customers can purchase the Day Pass by texting NBA50 to 9999. 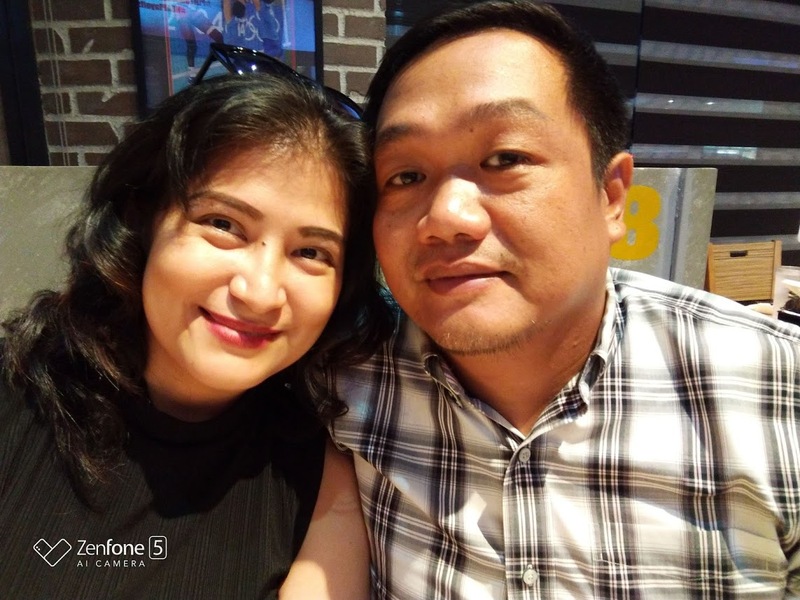 Additionally, PLDT’s broadband and Smart’s mobile subscribers will have access to NBA highlights, game recaps and daily top plays on the official websites of PLDT Home and Smart 360. NBA League Pass subscriptions offer fans in more than 200 countries access to a complete season of live NBA games. Subscribers can watch regular-season games, NBA All-Star, NBA Playoffs, The Finals, as well as select preseason and NBA Summer League games live and in high-definition with live stats and multiple viewing options, including the NBA Mobile View, which delivers a closer shot of the action optimized for viewing on the smaller screens of tablets and phones. Through the partnership, PLDT and Smart will also serve as official partners of NBA 3X Philippines presented by AXA, a 3-on-3 tournament featuring men’s and women’s teams and authentic NBA entertainment, showcasing their products and services at the event.